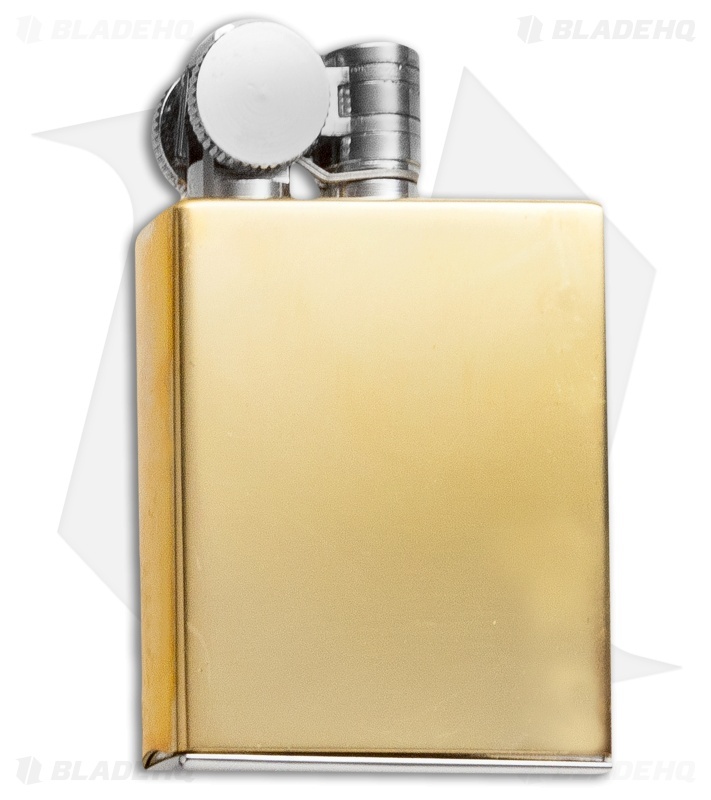 Each Marvelous Tank Lighter is handmade by skilled craftsmen in Japan. While it has a standard lighter shape and design, the Marvelous Tank Lighter is the first fluid tank lighter of its kind to use an interchangeable fluid tank system that allows the same fluid tank to be used on all other Marvelous Tank Lighter models. Produced by Douglass. This is my second Douglass lighter purchase, first being the field lighter S model and again I am blown away by the innovative style and design from Douglass. The "tank" pulls out similar to a zippo from the bottom but that is where any similarities end. There is a small, finely milled cap that unscrews exposing the reservoir where fluid is added. A small wick extends up from this contacting an absorbent packing. Then you place some lighter fluid in the packing and reinsert the tank and it is ready to use. 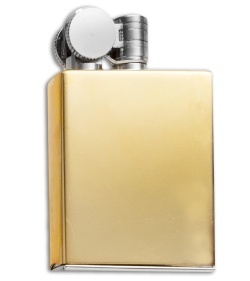 The threaded cap reservoir will delay evaporation significantly compared to a zippo. Striking the lighter raises the wick cover and ignites in one cool and smooth motion. Fit and finish is exceptional. Quality is evident when you use handle and use this lighter. Douglass is my go to EDC now. Just amazing lighters and a good value. Directions in Japanese but the images in directions are very clear.